Turn on the lights. Vacuum your carpets. Wash and dry your clothes in a washer and dryer, and clean your kitchen utensils in a dishwasher. Celebrate the ingenuity that brought you the conveniences of modern life. It's Human Achievement Hour! Human Achievement Hour (HAH) is a celebration of individual freedom and appreciation of the achievements and innovations that people have used to improve their lives throughout history. To celebrate Human Achievement Hour, participants need only to spend the hour from 8:30 pm to 9:30 pm on March 23 enjoying the benefits of capitalism and human innovation: Gather with friends in the warmth of a heated home, watch television, take a hot shower, drink a beer, call a loved one on the phone, or listen to music. Take time this evening to go on Twitter and Facebook to offer words of gratitude to Henry Ford, Thomas Edison, Isaac Singer, Christopher Latham Sholes, Bill Gates, and Steve Jobs. Human achievement is something to appreciate, not condemn. It is hard to believe it has been three decades since President Ronald Reagan introduced the Strategic Defense Initiative, which quickly earned the dismissive sobriquet "Star Wars" (after the George Lucas films of the same name). Reagan's introduction was modest and unexpected, coming at the end of a televised address to the nation on the general theme of national security and the defense budget then being considered by Congress. The Strategic Defense Initiative (or SDI) was not without precedent, however. Winston Churchill had called for defensive weapons systems as early as the 1930s, in the run-up to World War II. One result of the strategic defense debate and subsequent research in that era was radar, which probably saved Britain from total destruction by the Luftwaffe. There had also been talk about strategic defense from the beginning of the Atomic Age, with pro- and anti- sides alternating pre-eminence from time to time. also rejected a U.S. strategic defense system because it would be easily countered by Moscow. The Soviet Union would be forced to respond with an offensive buildup, which would mean that "the risk of a Soviet nuclear attack would not be further decreased" and, if deterrence failed, "the damage to the United States from a Soviet nuclear attack would not be reduced in any meaningful sense." To those following strategic issues in the early 1980s, the substance of Reagan's "Star Wars speech" was not so surprising, even if the timing of it was. Reagan himself was urged by Edward Teller, known as the "father of the hydrogen bomb," to promote and initiate defensive systems as part of the overall U.S. national security strategy. Retired General Daniel O. Graham had been pushing a concept he called "High Frontier," which used off-the-shelf, kinetic technology to knock incoming missiles out of the sky. With President Reagan's address to the nation on March 23, 1983, the Strategic Defense Initiative became the focus of the U.S. debate over strategic policy. Although much of the speech was devoted to resisting uts in his defense budget, in his conclusion the President offered an alternative to traditional U.S. nuclear strategy. "Wouldn't it be better to save lives than to avenge them?" he asked. 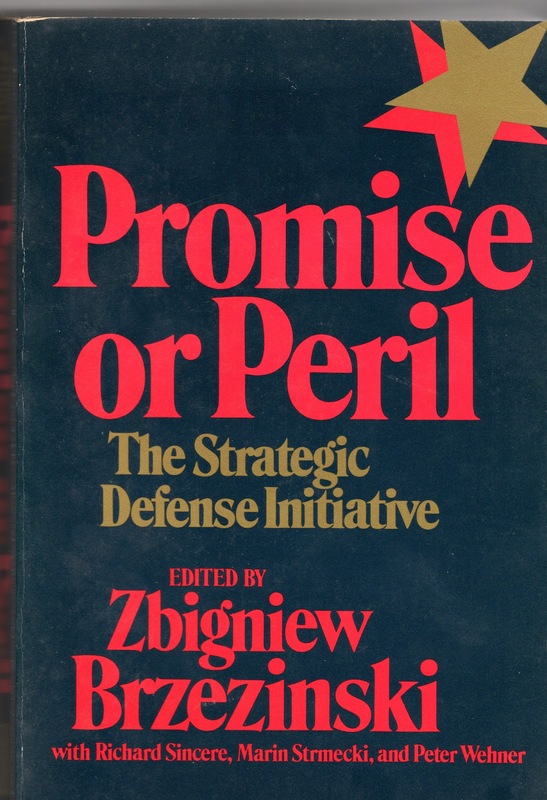 Although "deterrence of aggression through the promise of retaliation" had worked well, Reagan rejected the idea of indefinitely basing U.S. policy on the doctrine of Mutual Assured Destruction. In calling for this shift, he advocated, not simply a limited defense of U.S. strategic forces, but a total population defense so that "free people could live secure in the knowledge that ... we could intercept and destroy strategic ballistic missiles before they reached our own soil or that of our allies." The President challenged the scientific community, "those who gave us nuclear weapons, to turn their great talents now to the cause of mankind and world peace, to give the means of rendering these nuclear weapons impotent and obsolete." The rhetoric of Reagan's speech echoes that of Winston Churchill ... during the British air defense debate of the 1930s. Thirty years on, for both his domestic and foreign policies, Ronald Reagan is remembered by local Republican parties through annual celebratory dinners. The next one coming up in Virginia is in Charlottesville on April 7, just two weeks after the anniversary of what is known not just derisively but also affectionately as the "Star Wars speech."